Our Memory 500 Mattress by The Foam Company features an extra deep layer of luxurious memory foam on top of super supportive high density foam to ensure your sleeping surface offers your body a great level of support and comfort. The Memory 500 Mattress by The Foam Company contains a deep 15cm layer of high density foam which provides your body with a great level of support and can help to improve posture over time through its contouring properties. This is then topped off by a very generous 50mm layer of luxurious memory foam which moulds to your individual body shape and weight to ensure a precise and tailored level of support and provides additional comfort through its softer feel. This mattress also features a removable and washable HydraFlex cover for convenience to help to keep the mattress fresher for longer. HydraFlex features advanced cooling properties and helps to dispel excess moisture for a cooler feel – this can prove beneficial for those who suffer from allergies. This breathable fabric stretches to shape your body yet ensures you still receive an excellent level of support from the foams underneath. The Memory 500 Mattress by The Foam Company is of a medium firmness rating. This would make an ideal choice of mattress for those who prefer the comfort and support that a standard medium mattress has to offer. 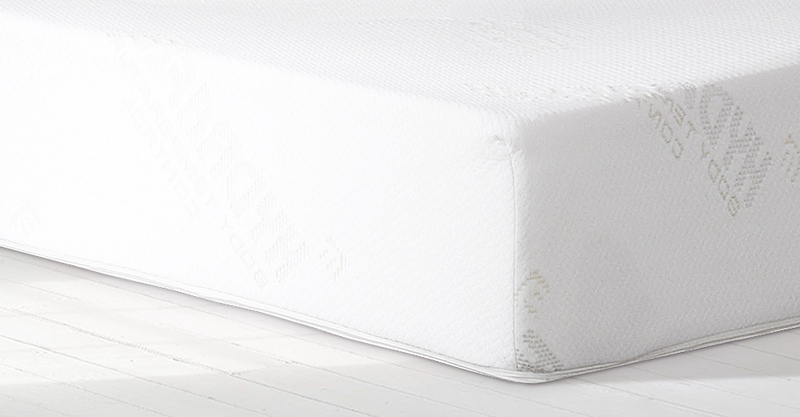 This is a great quality mattress by The Foam Company featuring dual properties from two varieties of foam which provides your body with an excellent level of both support and comfort. Please quote this Products's code 64003 to speed up your query if related.